The Wednesday Call Live (TWC) for April 30, 2014: This file is an audio recording of Andy's Live Show. If you would like to access the video version, check out the NAAtv Live Archives! The Live Show will air again on May 7, 2014 at 12:30 PM ET. The Wednesday Call Live (TWC) for April 30, 2014: Andy Albright hosts a live conference call and meeting from National Agents Alliance Headquarters in Burlington, NC! Andy's live show covers all kinds of great topics, including training, information on team building, new developments that are in the works, and frank discussions with your fellow agents (beginner and top level managers alike!). If that wasn't enough, the live show also provides motivation and encouragement that will help get you fired up and ready to roll! Be sure to tune in and take advantage of the great info in today's Wednesday Call. Andy was live from AMP Studios today! Jim Henson was a special guest and talked about Alliance Life USA. Henson also announced National Guardian Life as the latest partner with The Alliance. Andy announced the prizes for the National Agents Alliance Life USA contest. Every person who sells a National Agents Alliance Life USA policy will win a limited edition t-shirt. Additionally, 25 people who sell at least one National Agents Alliance Life USA policy between now and July's Leadership Conference will win a special prize based on a lottery drawing. Andy announced the prizes with the help of Henson. 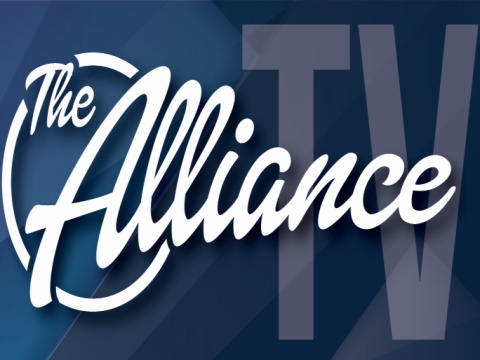 The newest members of the Elite Ladies of the Alliance were announced on the show, as they surpassed the $100,000 mark in 2014. Andy discussed using the proper approach to interviewing and hiring when talking to a new prospect.